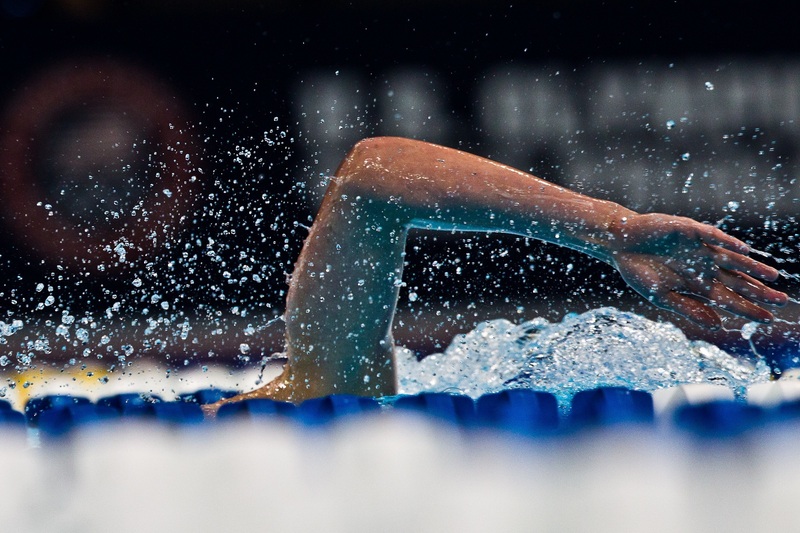 Three meet records that have stood since 2009 were taken down on the third night of the 2014 Speedo Western Canadian Championships in New Westminster, BC. In the men’s 17 and over 400 freestyle Island Swimming’s Keegan Zanatta, 20, took down his teammate and Olympic medalist Ryan Coachrane‘s record of 3:45.05, winning the event in a time of 3:44.54. Zanatta dominated the event in the same way Overholt did finishing close to seven seconds ahead of his next competitor. In the women’s 16 and over 400 freestyle where 16 year old Emily Overholt of the West Vancouver Otters won the event by over seven seconds. Overholt posted a time of 4:09.53, beating the 2009 record of 4:09.97 set by 2012 Canadian Olympian Heather MacLean. The final 2009 meet record to be erased was in the men’s 16 and under 200 backstroke. 16 year old Markus Thormeyer of the Winksill Dolphins Swim Club beat Anders McIntyre‘s record of 1:58.89 winning the event in a time of 1:58.25. The 200 backstroke was Thormeyer’s fourth victory of the competition. Canadian national team member Noemie Thomas of the UBC Dolphins also broke a meet record in the women’s 16 and over 100 butterfly in the preliminaries posting a time of 57.43 and then went on to break her own record in the evening, winning the event in a time of 57.30. Her time puts her into the world’s top 15 surpassing Camille Muffat who posted a 57.31 at the French National Championships in December. For the third night in a row 13 year old Rebecca Smith of the Red Deer Catalina Swim Club broke an Alberta age group record for 13 year olds posting a time of 1:01.78. Amazingly this breaks her own record of 1:03.44 which she posted in January and is still in the process of being ratified. 15 year old Sophia Saroukian of the Edmonton Keyano Swim Club won the women’s 15 and under 400 freestyle in a time of 4:15.10. 16 year old Edwin Zhao of the Pacific Sea Wolves Swim Club picked up his fourth victory of the competition taking the men’s 16 and under event in a time of 3:54.57. 16 year old Darren Yuan of the Surrey Knights Swim Club won the men’s 16 and under 100 butterfly in a time of 55.77. David Dimitrov, 22, of the Liquid Lightening Swim Club and 18 year old Nicolaas Dekker of the Richmond Rapids battled it out for the 17 and over crown with Dimitrov winning the event in a time of 54.71, three one-hundredths of a second ahead of Dekker. 14 year old Lauren Crisp of the University of Victoria-Pacific Coast Swimming won the women’s 15 and under 200 backstroke in a time of 2:11.43. Crisp just out touched Ingrid Wilm, 15, of the Cascade Swim Club who finished second in a time of 2:11.46. Kevyn Peterson, 26, picked up the win in the 16 and over event posting a time of 2:12.46. Yuri Kisil, 18, of the Cascade Swim Club won the men’s 17 and over 200 backstroke in a time of 1:59.41. 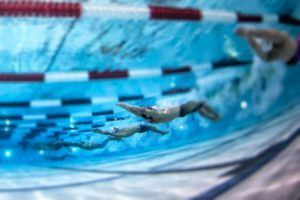 The women’s 15 and under breaststroke was a thrilling race between three 15 year olds, the University of Manitoba’s Kyla Roy, Kiersten Gilberg of the Winskill Dolphins Swim Club and Hillary Metcalfe of the Langley Olympians Swim Club. Roy and Gilberg tied for the gold in a time of 32.90, nine one-hundredths of a second ahead of Metcalfe, who collected the bronze in a time of 32.99. Amanda Reason of the University of Calgary Swim Club took the win in the women’s 16 and over event recording a time of 32.28. If yes, Zanatta’s time is very fast for this time of the year (and I have never heard of him before). If he keeps on improving, he will be in strong medal discussion comes Commonwealth Games. It’s in short course meters.